DTC is a multidisciplinary engineering consulting firm committed to delivering your projects with innovation and integrity. Since 1979, DTC has implemented innovative design, planning, and management both locally and across the globe. We cover projects from start to finish — and we do so by employing a diverse set of experts experienced in providing engineering, environmental, and construction management services to meet our clients’ project needs. Our mission at DTC is simple. DTC is committed to providing comprehensive, long term solutions for the built environment. By establishing partnerships with stakeholders, we create sustainable buildings and infrastructure. Integrity: We develop lasting partnerships with our clients by offering honest guidance and support to promote successful projects from start to finish. 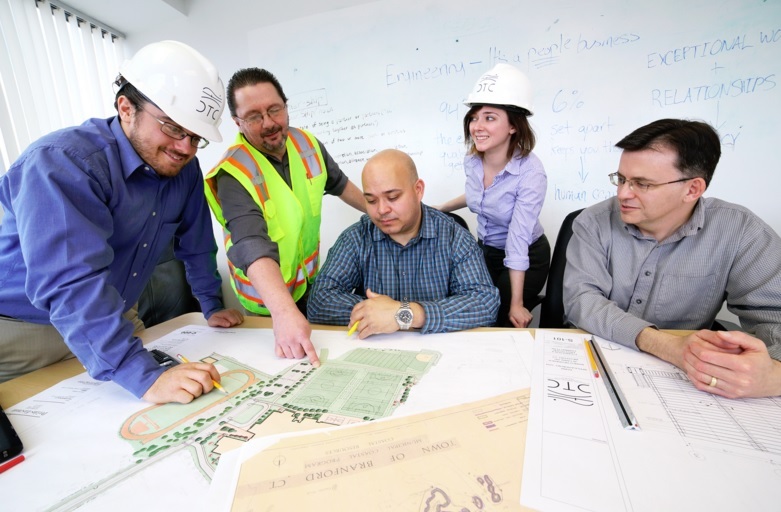 Teamwork: We offer expertise in a diverse set of disciplines including structural, civil, mechanical, electrical, plumbing, construction, and environmental engineering, as well as landscape architecture and program management. Our clients enjoy highly coordinated and cost-effective solutions. Innovation: We employ progressive technology and inventive methods to address the water, environment, energy, and infrastructure challenges our clients face both locally and across the nation. Excellence: We are proud to engage experienced, meticulous professionals who are able to utilize their skills to implement the visions of our clients, and reward our constituents and communities through exceptional work.